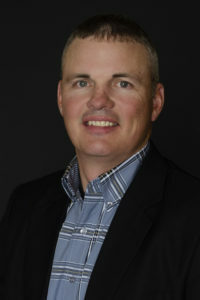 Mr. Barrow has over 15 years of experience in fisheries, surface water quality/aquatic habitat management and research. While earning his M.S. from the University of Nebraska-Lincoln (UNL), Mr. Barrow’s research advanced our understanding of the management of sensitive fish species related to unique water quality stressors, including assessing and predicting the response of fishes to pollutants and the available aquatic biota. Mr. Barrow conducted research that advanced our ability to address numerous unique water quality challenges and pollutant effects. Specific areas of expertise include communication with public and private agencies and businesses discussing lake ecology and restoration and management, watershed management, biological indicators of water quality, phytoplankton ecology and management, nutrient inactivation (alum), determination of appropriate water quality goals, nutrient criteria development, water quality monitoring, water quality modeling, internal phosphorus loading, and determining impacts of toxic algae using water quality and biological information. Mr. Barrow was honored for these achievements by the 1) Environmental Council of the States Program Innovation Award and 2) Nebraska Rural Development Commission receiving awards in recognition for work as part of the Community Lakes Enhancement and Restoration (CLEAR) program. As a faculty member at UNL, Mr. Barrow obtained $6 million in funding to support water quality research, authored over 16 publications, and lectured courses in Limnology (the study of lakes and streams) and Lake and Reservoir Restoration. Mr. Barrow supervised the analytical water chemistry lab and established the nation’s first toxic algal response programs for private and public lakes. Mr. Barrow is also a graduate of the National Extension Leadership and Development, which serves to build leadership and provide University Extension leaders the vision, courage and tools to lead in a changing world. Mr. Barrow is a recognized leader in water quality/aquatic habitat management and toxic algae assessment.